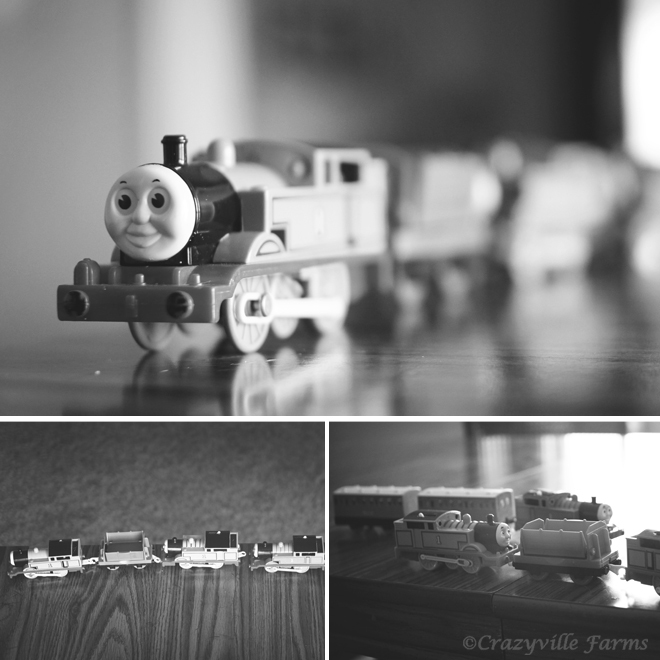 The boy LOVES his trains! I mean...he'll take off your arm if you dare to touch his trains! Plus, you'll get to witness a pure uber-duber, super-ultra melt down in the process! And don't get me started about the aftermath of having a big brother who thoroughly enjoys loading said trains into his dump trucks! 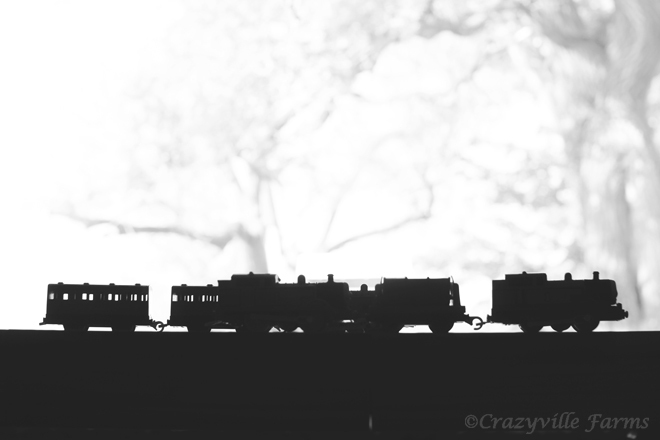 So...all day, every day, you'll find Mr. Levi lining up his trains. 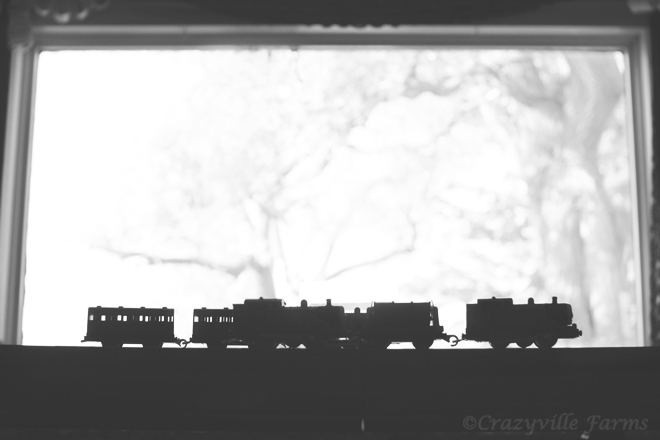 If you venture into our house, you're likely to find at least five trains (usually more) lined up ever-so nicely...perfectly straight rows made by perfectly paired trains created by a sweet little one-year old. Granted, there are instances where these trains cause feet to hurt as we stumble across the floor stepping on one locomotive after another. Numerous times throughout the day I clean up said trains only to have them redistributed across the floor. As much as the mess drives me a wee bit loco, I will greatly miss these days. The time goes by so quickly. Now to embrace these moments...the beauty of childhood.